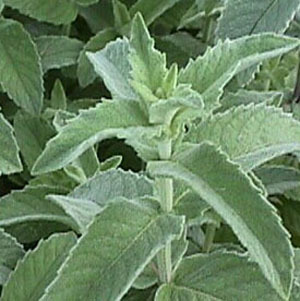 A very ornamental mint, with very silvery green leaves and a mild spearmint-like flavor. Long spikes of light purple flowers are nice as fresh cut or dried flowers. Categories: All Items, all potted plants, butterfly nectar plants, culinary herbs, deer resistant, dried flowers, Potted Plants, More..